The Porsche 991 GT3 RS is an absolute beast. The incredible Porsche is powered by a 4.0-liter normally-aspirated flat-six that produces an impressive 500 hp and 340 lb-ft of torque. Not only that, but the GT3 RS weighs only 3131 pounds. 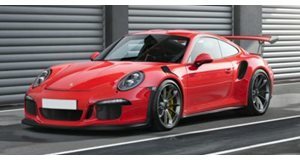 The light weight and raw power of the GT3 RS makes it capable of hitting 62 mph in a mere 3.3 seconds and hit a blistering top speed exceeding 200 mph. Besides its stellar performance capability and exquisite design, the GT3 RS produces incredible sounds when the throttle opens up. But where might you be able to hear one of these spectacular Porsche’s tearing up the tarmac at full open throttle? Look no further than this awesome video by Brian Zuk at the 2015 Shift-S3ctor California Air Strip Attack. A mean lava orange 991 GT3 RS was captured doing multiple launch control starts and full throttle high speed accelerations on the runway.